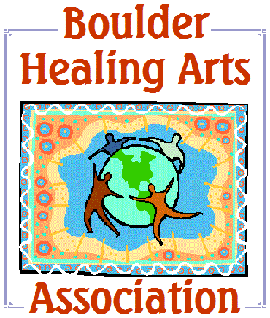 Boulder Healing Arts Association, providing natural healing services and education in holistic health care. Boulder Healing Arts Association is an organization of holistic/complementary/alternative healing arts practitioners and others who support the holistic community. We are varied in our modalities, and also provide many opportunities for education. Our HOME PAGE will keep you up to date with our latest event. You will also find information about the benefits of belonging to BHA, and a calendar of events. BHA regularly presents HOLISTIC HEALTH FAIRS and PSYCHIC FAIRS, all with intuitive readers and healing practitioners from BHA, the local area and from out of town. Be sure to join our mailing list to keep up to date with our events newsletter. Join our Mailing List for Updates and New Events.